Accordion shutters are an economical solution to protect window openings during a storm. These shutters are easy to use and cover large areas providing protection from weather damage, extreme storms, and forced entry. Accordion shutters are a great way to secure your home and are easy to use. Leave them open on a beautiful day, and close them to protect your home from storms and burglars. When open, accordion shutters stack to the side of the window and allow for an unobstructed view. 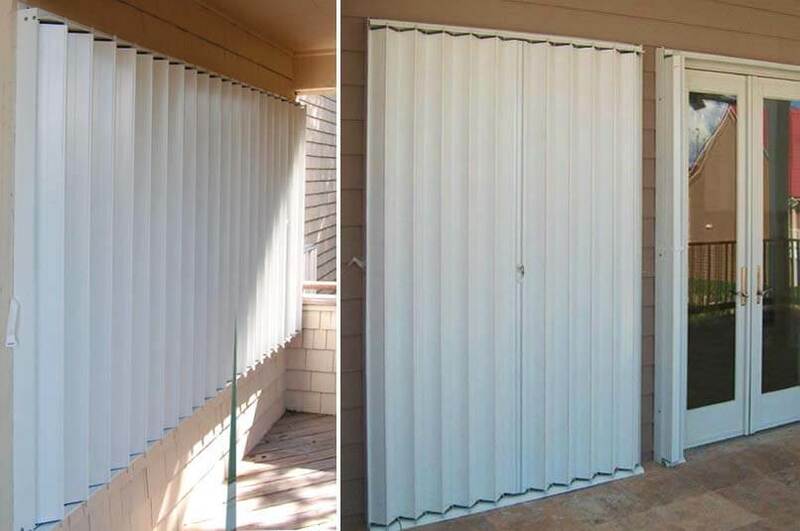 When closed, Accordion shutters provide shade, privacy, and protection. Call 813-814-2236 or click here for more information about our Tampa Accordion Shutters installation services we offer. Click here to follow us on Facebook.